The English Premier League record for a keeper is the 40m euros Manchester City paid Benfica for Ederson in June 2017. Liverpool boss Jurgen Klopp was forced to defend goalkeeper Loris Karius last week after another mistake – this time in a pre-season friendly against Tranmere. The 25-year-old German spilled a free-kick that allowed the hosts to score in Liverpool’s 3-2 win at Prenton Park. Karius was at fault for two goals in Liverpool’s 3-1 defeat by Real Madrid in the Champions League final, but it was later found that he had concussion. 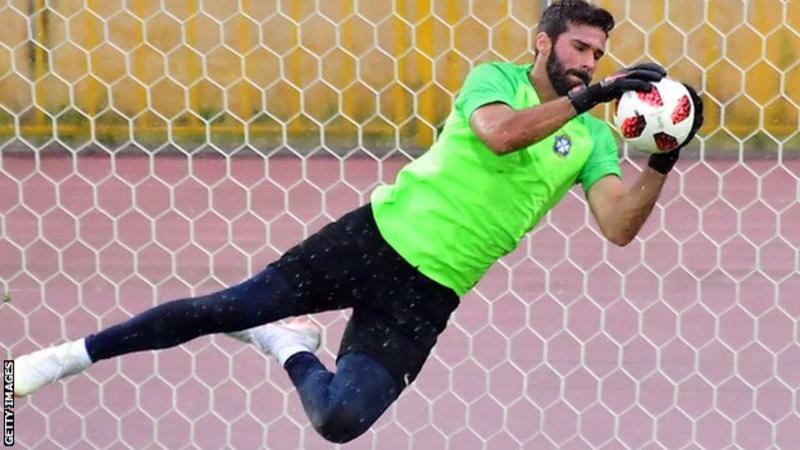 Alisson played all five games, keeping three clean sheets, as Brazil were knocked out at the quarter-final stage of the World Cup by Belgium.